Featured this week on my friend Marcella Barraza's blog, Tu Casa Blog. Marcella provides information about cleaning, organizing and inspiring spaces. This week she's focusing on different rooms in the home, with excellent green cleaning tips. 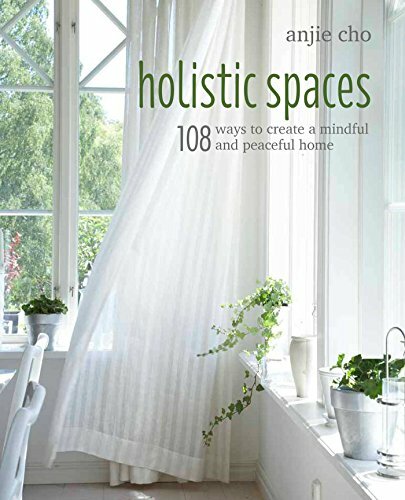 Holistic Spaces has contributed by adding a feng shui tip for each room. The last tip of the week was the Bedroom! Our bedrooms are tied closely to our personal energy because we spend a lot of passive time in the bedroom sleeping. So, while you're spring cleaning, don't forget to clean underneath the bed! Clutter under the bed symbolizes subconscious blocks in your personal life and relationships. This is an ideal time to re-organize and clear out any clutter and anything you haven't used in the last three years. Also make sure that if you must have storage under the bed, everything should be soft and bed related. Check out these kitchen and bathroom tips and visit the Holistic Spaces blog next week for our tips on cleaning living areas!